Tomorrow, Saturday, from 2 to 4 pm, SunDog will be performing on the Green in Princeton as part of the Palmer Square Summer Music Series. 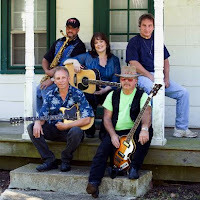 SunDog, the rock band from Hillsborough, performs a wide range of music, including classic and contemporary rock and pop, and country and southern rock. SunDog members Joe, Chris, Debbie, Billy and Phil are known for their strong lead vocals and signature harmonies, electric and acoustic guitars, synthesizer effects and sax. Their CD Painted Sky features their own original music.